Managing people is the most challenging part of any leader’s day. And that job certainly is not getting any easier. The Big Book of HR will provide any HR professional, manager, or business owner, of any size organization, the information they need to get the most from their talent. It is filled with information on everything from the most strategic HR-related issues to the smallest tactical detail of how to manage people. The Big Book of HR is intended for anyone who works with people and wants to maximize the impact that the employees have on the success of the organization. Each topic covered includes information on associated legal issues and includes stories from leading organizations to illustrate how human resources can positively impact the organization. Many sample forms and templates, plus a list of additional resources, are included. Identify, motivate, and retain superstar employees. Determine the kind of employees needed and when to hire them. Assimilate new talent into the organization. Manage using total rewards and performance management. Maintain positive employee relations and manage conflict. 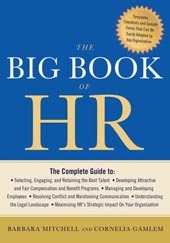 The Big Book of HR is an easy-to-use guide filled with examples, tips, and sidebars. Each chapter can stand alone for quick reference, and the appendix is full of forms and samples that can be easily assimilated into any organization’s HR operations. 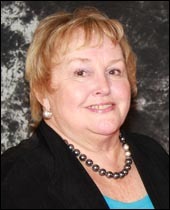 Cornelia Gamlem, SPHR, is president of The GEMS Group, Ltd, an HR consulting firm. She co-authored Roadmap to Success: 5 Steps to Putting Action Into your Affirmative Action Plan. 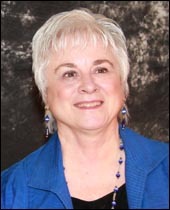 She has served on the National Board of Directors of the Society for Human Resources Management. Most of her HR career was spent with CSC, a global leader in providing technology enabled business solutions and services.